esProc is designed for application programmers to handle computing strongly related to the typical and complex business facts. Without any inheriting, overload, and other complex concepts, it is a development language neither object-oriented, nor fit for developing the infrastructure or the whole tool software. esProc boasts the agile syntax, grid-style script, and complete debugging. For the structured or semi-structured data, esProc incorporates the special designs and is especially fit for the multi-step business computing with complex algorithm or the mixed computing of diverse data sources. The performance of esProc on stand-alone machine is close to or exceeds that of the traditional database, and esProccan scale out cost-efficiently. The parallel computing can be handled with the outstanding performance in the small-and-medium-sized cluster, which is also suitable for the computing workload requiring high performance. The typical usage of esProc includes the report data source computing, hard-coded ETL, real-time computing mid-layer for application requiring high performance, non-real-time big data computing, and desktop BI. esProc provides the JDBC interface for integration, and also allows for the direct calling through Command Line. esProc has the independent Server and IDE, and supports distributed computing on multi-nodes and desktop computing. esProc Server is the independent computing service software for parallel computing between multiple nodes. The nodes, users can parallelly executeread/retrievel and computing tasks in the files of HDFS, database,and external files. It can act as the computing middleware to alleviate the workload on database. Through the external storage computing, they can implement the database optimization and management. esProc Server requires a Gigabit LAN. esProc is designed for application programmers to handle computing strongly related to the typical and complex business facts. Without any inheriting, overload, and other complex concepts, it is a development language neither object-oriented, nor fit for developing the infrastructure or the whole tool software. esProc boasts the agile syntax, grid-style script, and complete debugging. For the structured or semi-structured data, esProc incorporates the special designs and is especially fit for the multi-step business computing with complex algorithm or the mixed computing of diverse data sources. The performance of esProc on stand-alone machine is close to or exceeds that of the traditional database, and esProccan scale out cost-efficiently. The parallel computing can be handled with the outstanding performance in the small-and-medium-sized cluster, which is also suitable for the computing workload requiring high performance. The typical usage of esProc includes the report data source computing, hard-coded ETL, real-time computing mid-layer for application requiring high performance, non-real-time big data computing, and desktop BI. 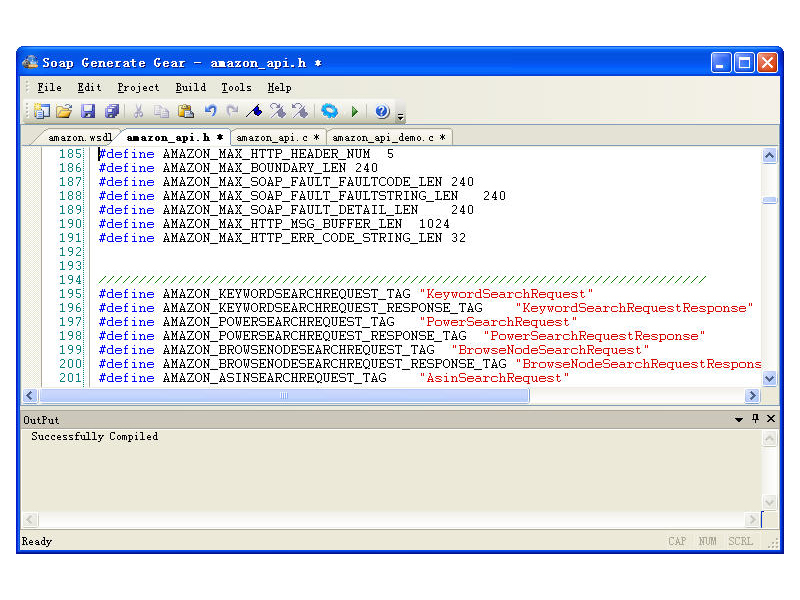 esProc provides the JDBC interface for integration, and also allows for the direct calling through Command Line. esProc has the independent Server and IDE, and supports distributed computing on multi-nodes and desktop computing. AthTek WebXone is an advanced RIA (Rich Internet Applications) Builder. It enables software developers to create web applications directly by C++Builder, VC, VB, Delphi and PowerBuilder. It can also convert C/S type software projects to B/S type web applications easily and effectively. WebXone supports all VCL components in web application development and the created web application is all browser supported. No matter what web server (Windows, Linux and other), no matter what server program (Apache, IIS), the created web application can run on the web server efficiently and stably. It is very easy to create web applications by WebXone. There are 4 subfolders in webxone.zip: Public, WWW, Tools and Tutorial. Subfolders Public and WWW are necessary for web application development. Software developers need to upload all the files to server to deploy WebXone. These files will make browsers recognize the web applications. Software developers need to use the files in subfolder Public to create web applications directly by C++Builder, VC, VB, Delphi or PowerBuilder. Complex software projects with databases and/or multiple forms can also be converted to web applications by WebXone. If you are good at programming with C++Builder, VC, VB, Delphi and/or PowerBuilder, WebXone will extend your ability for web application development. If you want to transfer the current business system (ERP, CRM and others) to web based application, WebXone will help you to complete the development task in a short term. WebXone can be authorized by Enterprise License or Personal License. Enterprise License can authorize all the computers in a company for commercial use, while Personal License can authorize one computer for personal use. Both the licenses are one time charge and lifetime authorization. You can also use the free trial version for non-commercial use and the free trial has no expiration date. 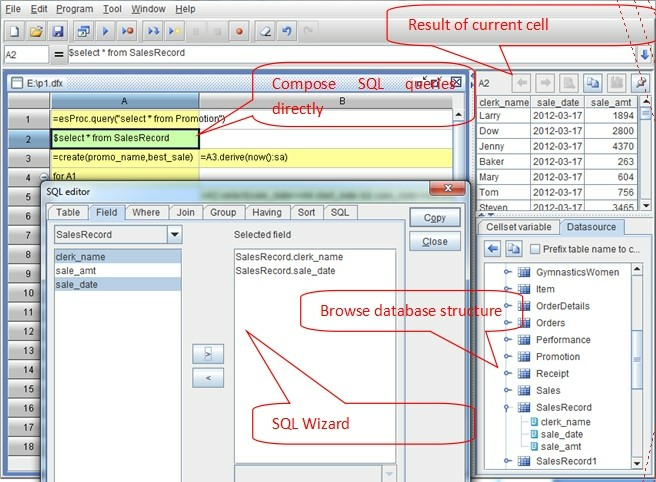 DC Binding Recordset is easily one of the first applications to let you manipulate data form in any way you want. 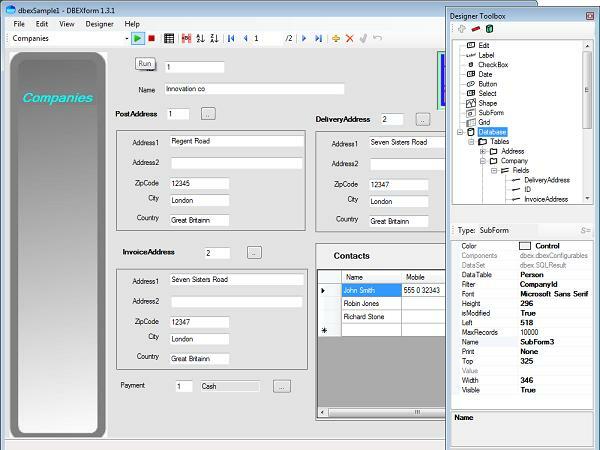 This software integrates seamlessly into your project and lets you call the form functions whenever you need them – this way, don’t need to spend so much time creating about codes. Best of all, you can reuse DC Binding Recordset again and again on all of your programs. DC Binding Recordset works with Visual Basic, Visual C++, and other such COM-based environments. It is another product of Egyfirst Software, Inc., one of the leading software developers in its region. 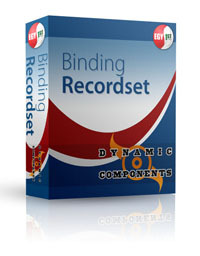 A part of the Dynamic Components (DC) family of software, DC Binding Recordset is yet another ‘must-have’ if you are programmer serious about making your life easy. DC Binding Recordset lets you effortlessly navigate database records (first, previous, next, and last) on top of adding, editing, saving, or deleting them. In a few clicks, DC Binding Recordset lets you set the links or relationships between and among database tables. DC Binding Recordset also allows you to set up a search functionality – all in a few minutes. The codes are already created for you, so just include them in your project. You do not need to be an advanced programmer in order to install and fully use Binding Recordset. Its setup program automatically registers the DC_DataManger10.dll file on your system. To integrate it into your project, simply select ‘add reference’ from the project menu. Click the ‘browse’ button to locate all of these DLL 1- your DC_BindingRecordset10.DLL 2- AxInterop.MSDataGridLib.dll 3- Interop.MSDataGridLib.dll 4- adodb.dll which all of them by default are located in c:\windows\system32. This application can be yours for just a little less than $200 – a very small price to pay considering all the time you will save from using it. The Home License is intended for non-commercial home use only. In all other circumstances, a Business License is required. If the product will be used by organizations, whether business, non-profit, state-owned or government (local, state or federal) or any other type, or if an individual is purchasing the program for commercial purposes (i.e. a home or family business), you must obtain a Business License. Doing otherwise will be considered a violation of license agreement.